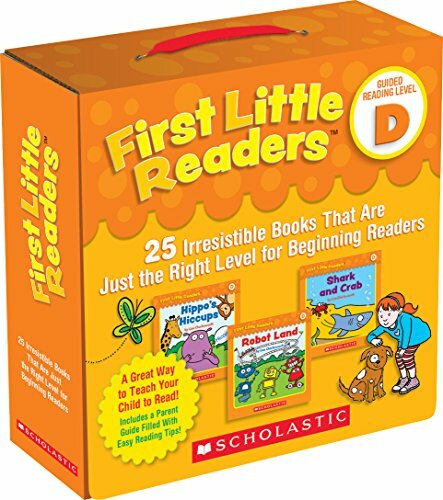 Jumpstart reading success with this big collection of motivating storybooks correlated with Guided Reading Level B. 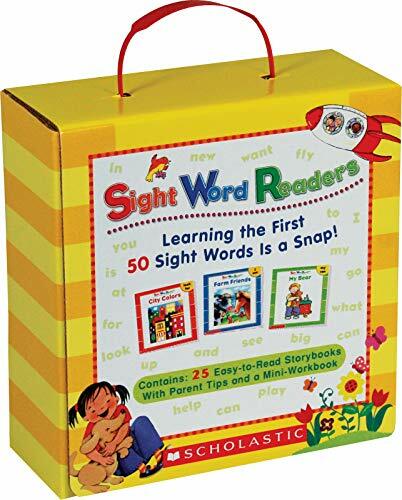 Most pages of these full-color storybooks feature just one or two lines of simple, repetitive text to help children learn to read with ease and confidence. Includes a tip-filled parent guide. A great value!Includes these 25 titles:1. What Jumps?2. In My Pocket3. What do Monsters Eat?4. Animal Crackers5. Farm Twins6. The Missing Monster7. My Meatball8. Growing Up 9. I Wish I Were a Bird10. Tiny Things11. Gingerbread Boy12. What Flies?13. Bigger14. I Like Socks15. Meet My Baby Brother16. Come Over17. Party Shapes18. The Wheels on the Bus19. Cloud Pictures20. Ice Cream Scoops21. Draw a Cat22. What Grows on Trees?23. Halloween24. Great Hair25. Clean Up, Clean Up! For use with Grades PreK-2. 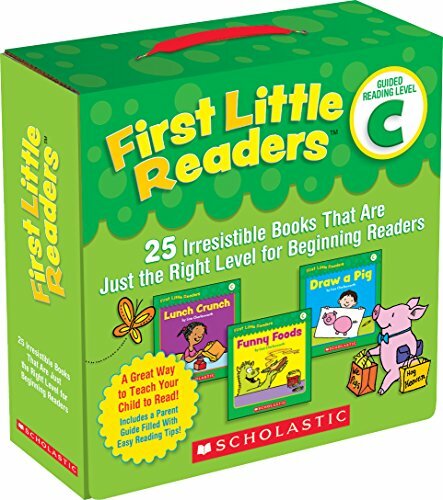 Jumpstart reading success with this big collection motivating storybooks correlated with Guided Reading Level C. Most pages of these full-color storybooks feature just two or three lines of simple, repetitive text to help children learn to read with ease and confidence. Includes a tip-filled parent guide. A great value!1. The Pie that Jack Made2. Funny Foods3. Round the Clown4. Follow that Cat!5. Counting Bugs6. Lunch Crunch7. Bubble Shapes8. All About Dinosaurs 9. Make a Pizza10. This Little Piggy11. Tail Tale12. Eight Arms are Great13. Bat Facts14. Snow Tracks15. Lots of Legs16. Polka-a-Dot World17. The Teeny Tiny Man18. Giant Friends 19. Hot Dog, Hot Dog20. Squares are Everywhere21. Surprises22. Shadow Guessing Game23. Monkey Business24. Draw a Pig25. Clay Play For use with Grades PreK-2. 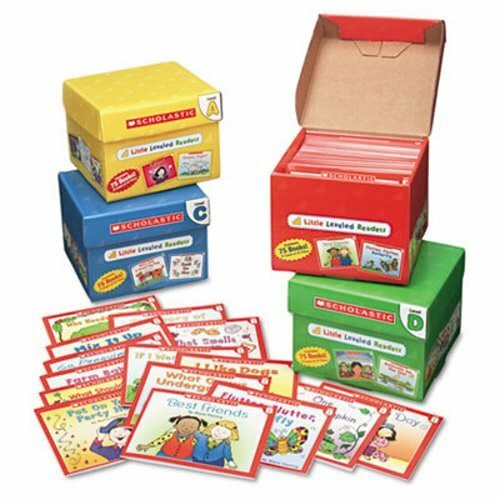 Jumpstart reading success with this big collection of 25 motivating storybooks correlated with Guided Reading Level D. The books features simple text, decodable words, strong picture cues, and two to four lines of text per page to support readers with just a little experience under their belts. Children will laugh, learn, and build confidence with these funny books on their favorite topics―from dogs to dinosaurs, princesses to pizza! 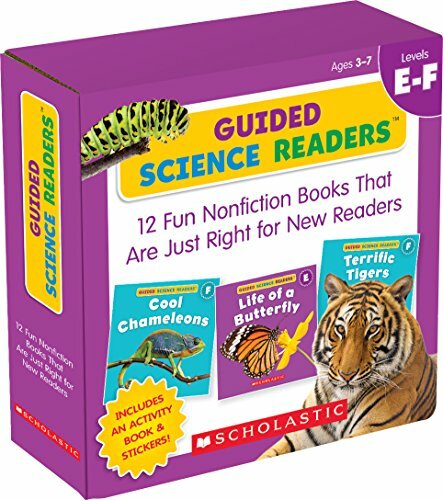 Set your child on the path to reading success with this exciting collection of 16-page books on favorite science topics: horses, bears, birds, sloths, tigers, honeybees, chameleons, and more. These level E and F books feature engaging photos paired with just a few lines of text to support growing readers. Includes a mini-activity book, motivating stickers, and parent tips. A great way to help children step up to the next guided reading level with ease. 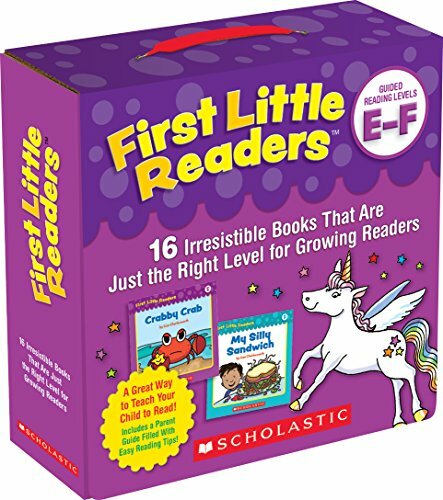 Motivate your growing reader with these super-engaging, 16-page storybooks correlated with guided reading levels E & F! Inside this little box, you’ll find 16 original titles plus a tip-filled parent guide. 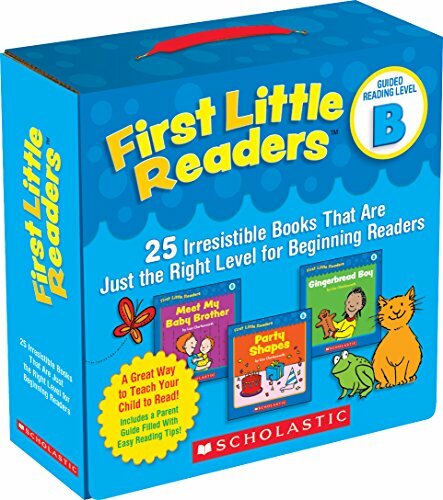 Each book features simple text, decodable words, strong picture cues, and one to five lines of text per page to promote reading confidence and success. For use with Grades K-2. 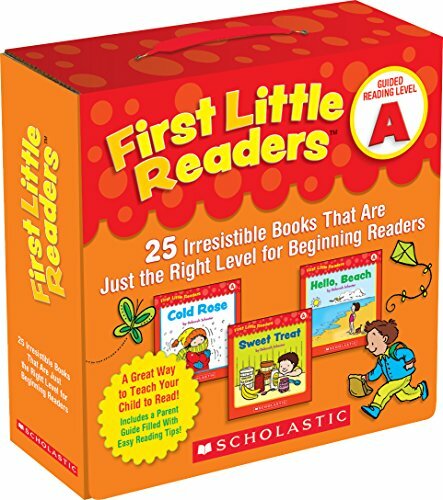 Scholastic - Little Leveled Readers Mini Teaching Guide, 75-Books, 5 Each of 15 Titles - Sold As 1 PackLittle Leveled Readers are not too easy or too hard, but just right! That's because they've been carefully evaluated by a reading specialist to correlate with Guided Reading Levels.This step-by-step, book-by-book program guides children through the early stages of reading. Inside each set you'll find 75 storybooks (five copies of 15 titles) on topics children love, which makes them perfect for group learning. Includes Set A, Set B, Set C and Set D. Also includes a mini-teaching guide for each set. Reference Book Type: Story Books; Subjects: Reading; Age Recommendation: Grades Pre-K-2; Language(s): N/A.Step-by-step, book-by-book program guides children through the early stages of reading.Little Leveled Readers have been carefully evaluated by a reading specialist to correlate with Guided Reading Levels.Includes Level A Set, Level B Set, Level C Set and Level D Set.Inside each set you'll find 75 storybooks (five copies of 15 titles) on topics children loveAlso includes a mini-teaching guide and storage box for each set.Includes Set A, Set B, Set C and Set D books and includes a mini-teaching guide for each set. An introduction to leveled readers: what to look for from leveled readers and what is expected at each grade level.